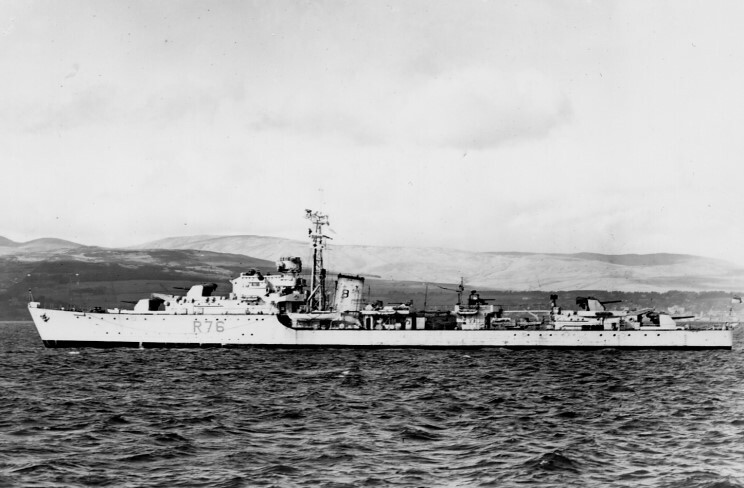 HMS Consort R-76 seen on the CLyde shortly after completion. 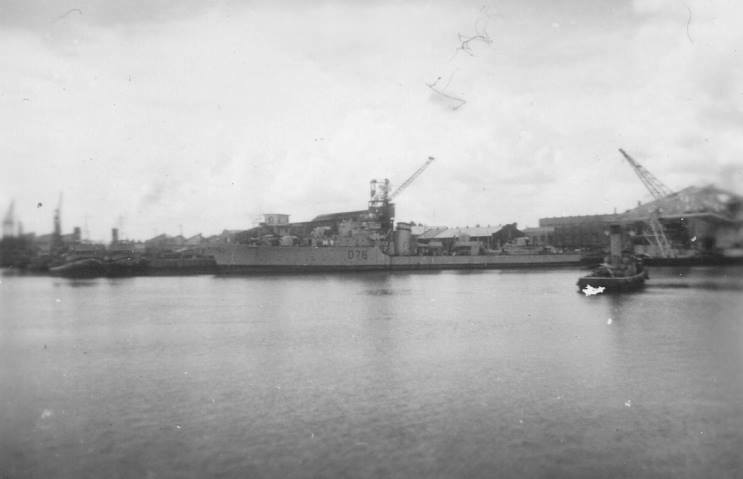 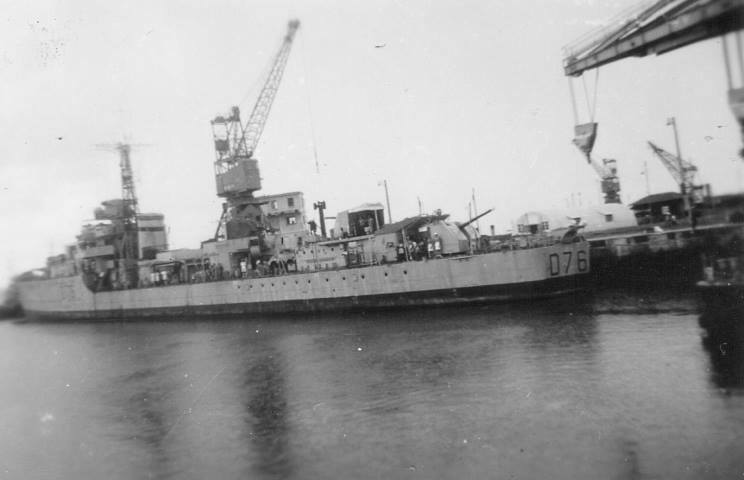 HMS Consort R-76, date and location unknown. 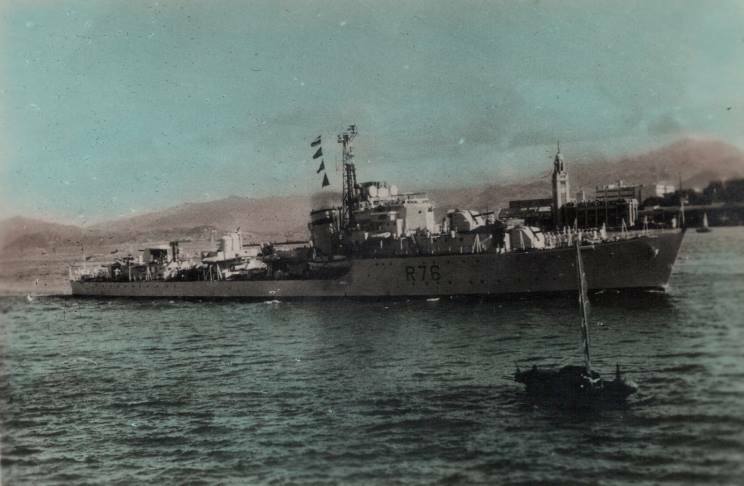 HMS Consort R-76 seen at Hong Kong. 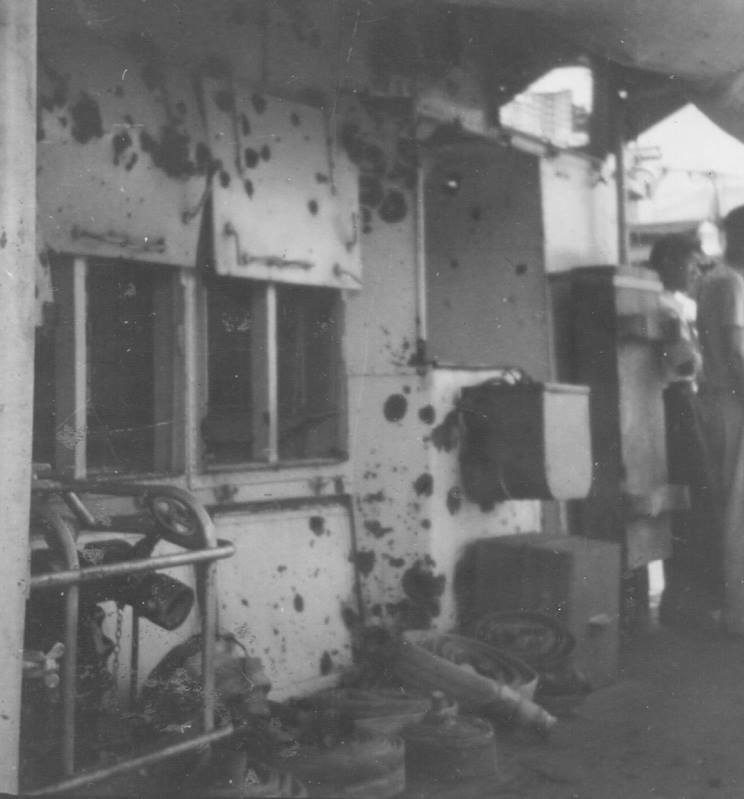 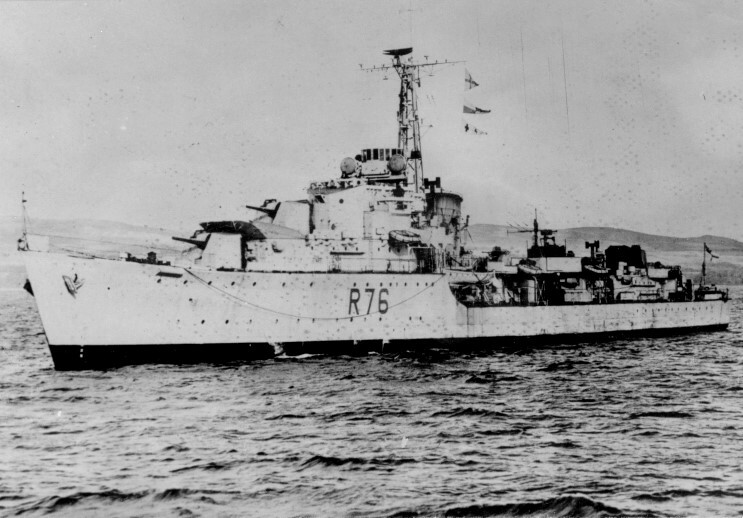 April 1949: Shrapnel damage to HMS Consort R-76 received from Communist Chinese forces in the Yangtze Incident. 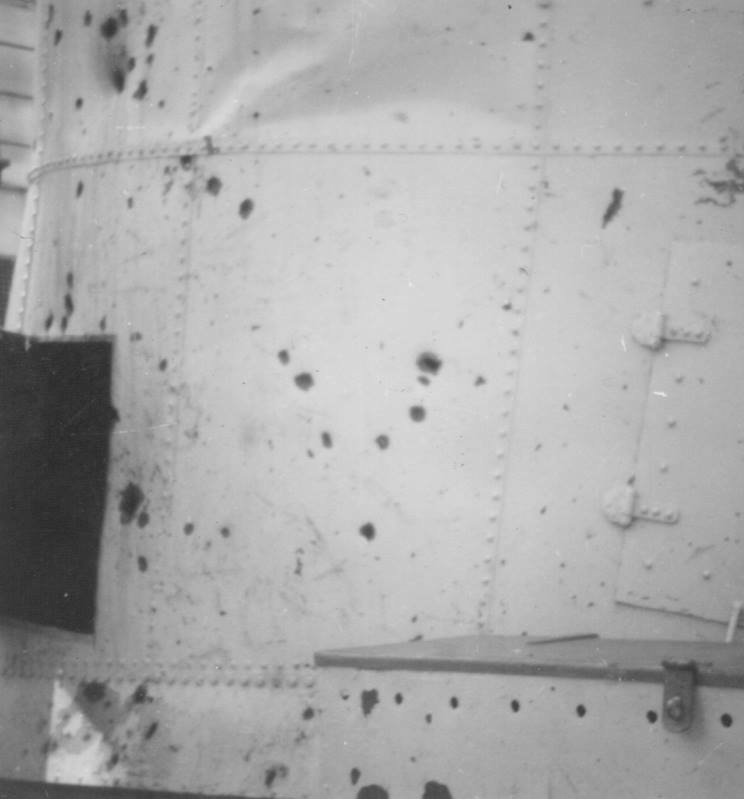 April 1949: Shrapnel damage to the funnel of HMS Consort R-76 received from Communist Chinese forces in the Yangtze Incident. 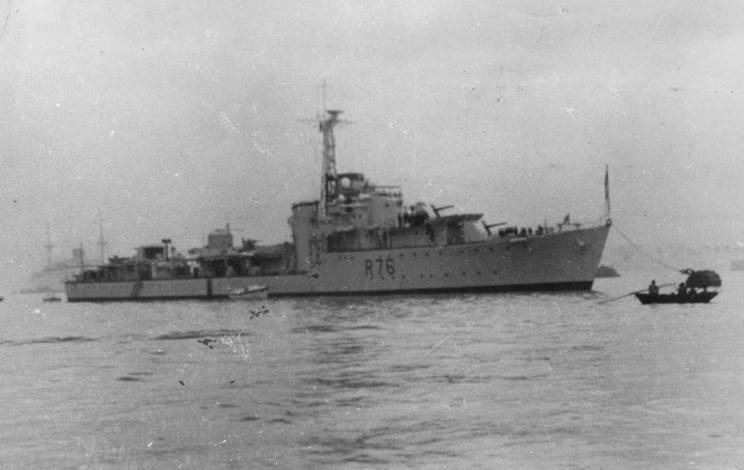 HMS Consort D-76 seen at Singapore repairing damage received in the Yangtze Incident. 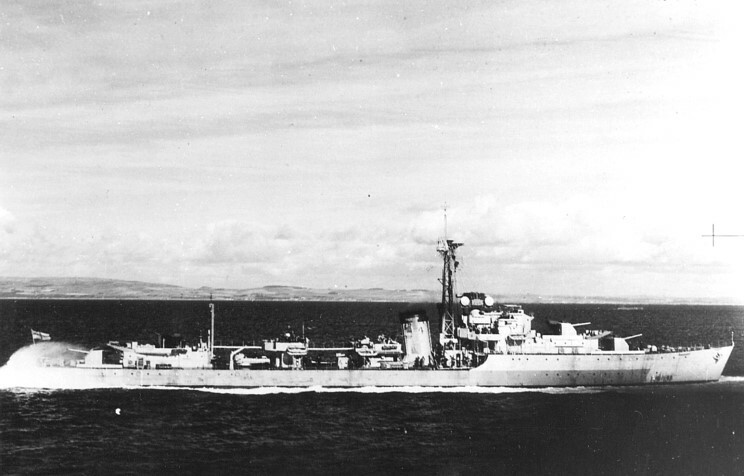 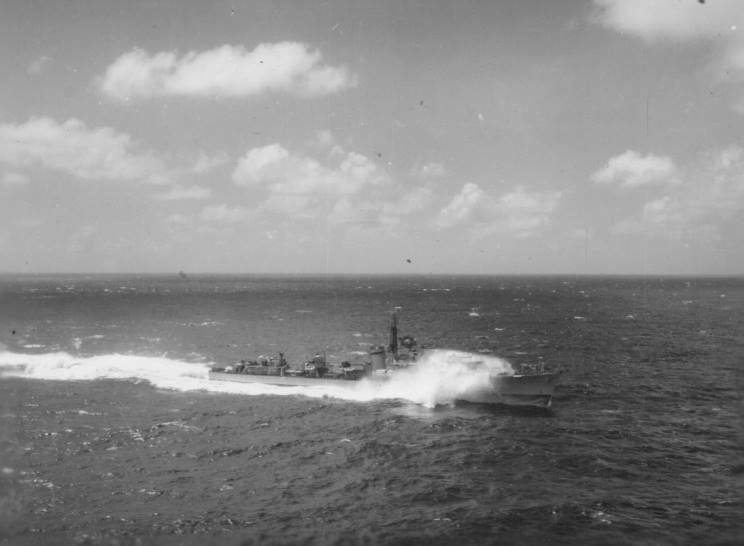 HMS Consort D-76 seen en route from Singapore to Hong Kong.